than any established style or system. 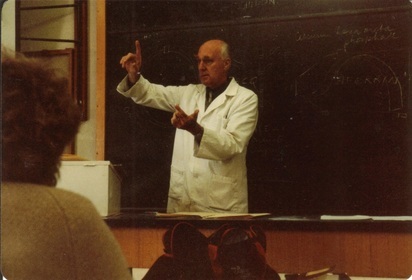 At the very first lecture attended by the winemaker on commencing the oenology course at Roseworthy College in 1982, the late Dr. Bryce Rankine emphasised that when judging a wine all that mattered was the wine in the glass. A particular wine will be perceived differently by every individual because of their genetic make-up, age, conditioning, and varying physical sensitivity to different compounds in wine. Although the Mortimer Method started out as a single idea summarised below, over time it has become a question of how the idea can evolve and how far it can be extended, both in terms of the period of time over which the process takes place, and the volume of wine being made. An idea can be tested on a larger scale and if it is fundamentally sound it will still hold up. This principle is found in martial arts where a sound technique should apply equally as effectively against multiple opponents as against one, and in nature where a simple pattern repeated is used to create larger scale. Scientifically this is in the realm of chaos mathematics and so in the beginning (the early 1990s), was derived the Black Stump logo, with assistance from the Department of Chaos Mathematics at The Levels in Salisbury, SA. Although the fundamentals are always applied, the approach changes with the context, and by this is meant adaptability around the seasons, grape variety and ripeness, winery and equipment, logistics and many other variables which all can never wholly be predicted in advance. Self-imposed and systemic limitations and impositions whether archaic or modern are kept at arms length, such as keeping wines to a single vintage or variety where there might be other alternatives to produce a nicer drinking wine or style. But nothing is ruled out. Application of this approach has resulted in single variety, single vineyard, single vintage, multi-variety, multi-regional, multi-vintage blends, and various combinations in between, bottled volumes of less than one pallet and contributions to million case brands. Wine can be enjoyed more when approached with an open mind, and one should stick by their own judgement and in accordance with their own tastes. Ratings from wine judges and writers should be seen mainly as a guide to quality and sound winemaking, not an indicator as to the degree that any particular individual will preference a wine, whether awarded or not. Many times wines are tasted and judged en masse in a clinical scientific environment not conducive to enjoying wine, and the real test of a wine is how it stands up in the environment and context in which the winemaker envisaged it to be consumed. As with all creative effort there will be highs and lows, and what these are perceived to be will change with each individual. The stylistic end result of making wine this way although open to natural and logistical influences and forces, produces a wide range of styles always at a high quality level, and yet with a recognisable house style. There is something to be found in the Black Stump range for everyone. During the early 1990s Tim Mortimer commenced a small wine production to try some alternative approaches to red winemaking. The primary ideas were drawn from traditional (although not red) winemaking practice. The aim was to find ways of extending the barrel maturation to enhance characteristics such as smoothness, roundness, length of flavour and longevity. A short maturation in a new barrel has it's limitations, since the earliest extracted oak tannins do not have enough time to soften along with the ingress of oxygen into the barrel. On the other hand a longer maturation might lead to the wine losing freshness and vibrancy, or maybe becoming over-oaked and unbalanced. On a bottle of John Glaetzer's John's Blend (from the Wolf Blass winery going back some time), a barrel aging time was noted of about 3 1/2 years which even today might be considered quite lengthy. But it was a wine which found the balance between not too short and not too long in barrel, for a wine of a single vintage. One approach to extend this barrel aging process further, might be to draw something from the solero system in Spanish sherry making where older barrels are continuously infused with younger and fresher wine from a previous vintage. Eventually this might result in a non-vintage wine, but then, this is normal in the region of Champagne. Only the most extraordinary remain a vintage wine, otherwise the fine arts of blending are utilised which invariably results in a recognisable house style. 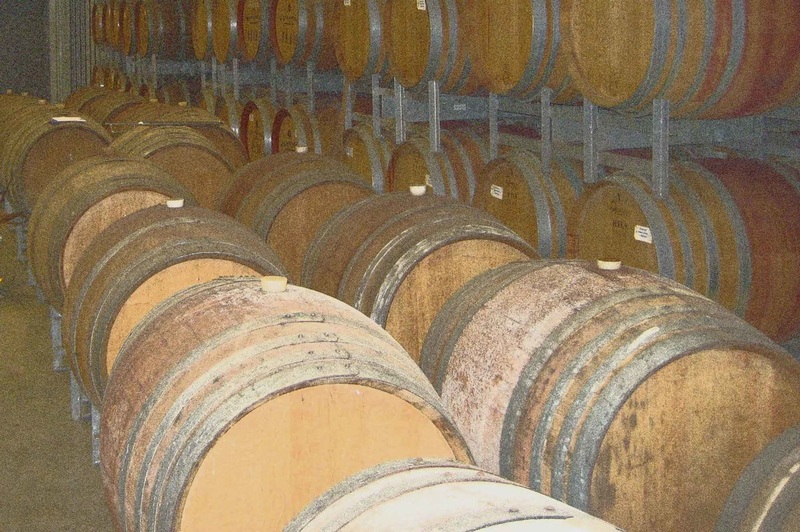 Other concepts not totally new are also applied, such as tannin additions during barrel aging which were used early on by Max Schubert on return from a study trip to Bordeaux. These days the quality of the tannins are much improved, and are generally extracted from oak, grapes skins, grape seeds, and sometimes other vegetable sources such as chestnuts. This enables a winemaker to customise their own tannin mix to purpose from the wide choice available, and minimises the use of chemical preservatives such as sulphur dioxide which mainly serves to bind up oxidative by-products without actually preventing oxidation in the first place. Tannins are the natural preservative and are considered preferable for barrel aging over a long period, and can be added to supplement those tannins already being extracted from the barrel. When the wine is buffered with tannin which are extremely strong oxygen attractors (anti-oxidants), then those tannins become softened by the oxidation process thereby also making a contribution to the palate of the wine. Applying these ideas to red winemaking requires a light-handed but ongoing approach over time, gradually building a wine’s body and depth of flavour as a barrel is further extracted. Barrels are left to their own devices untouched with only infrequent topping (about once or twice per year), and when they are topped it is seen as a blending opportunity with something suitable from a more recent vintage. If the barrel age is extended as long as seven years in some cases, then the wine eventually appears brick red or red-amber in colour, but with massive texture. Most importantly it must still have a lively and vibrant appearance. When the wine has much more than five years then it will need to be blended prior to bottling which is a challenging process. The end result is a smoother tasting wine, but extremely robust with an ability to mature further in bottle for many years. In recent times, the project has gravitated towards use of the northern Italian grape variety Nebbiolo, renowned for having impressive tannins, and in it's native region subject to regulation as to the mimimal amount of barrel and bottle aging time it must have before release, totalling about five years. Traditionally the barrel aging occurs in large older barrels, but not always these days. This variety seemed a natural fit with the solero idea and this phase of the project is now well advanced starting in 2010 and bottlings starting to be drawn off. Not all Black Stump wines are made using this solero method, but anything given a number is made by this long barrel aging method, with Wine #9 being the last one as far back as 2009. The next number will likely have a contribution from Nebbiolo. But going back, it is now possible to see for yourself how well the wines bottled in the early 1990's have in fact stood the test of time. Current releases are Wine #3 and Wine #4 bottled in 1993 having undergone maintenance prior to release.